The cold winter months are generally accompanied by wind and low humidity. While space heaters and central heating systems help us stay warm and comfortable, they also produce dry, hot air. All of these winter conditions strip our skin of its natural moisture, often resulting in cracked, flaky, itchy, and irritated dry skin. Body scrubs with spherical particles evenly buff off dry, dead skin cells and speed up the cell regeneration process. Gently exfoliate your body’s skin once or twice a week to remove old cells and help new, healthy ones come to the surface. You can even make your own body scrubs using sugar or salt mixed with oil, and the oil will help hydrate your skin at the same time. Exposure to hot water strips our skin (and hair) of moisture. Opt for a quick (5 minute) lukewarm shower, or add some oil and/or even a few cups of whole milk to your bathwater to soothe rough skin. Be sure to moisturize (see below) within three minutes after bathing to help lock in moisture. Moisturizing once a day may be sufficient during the summer, but during the winter it is best to apply a moisturizing lotion or cream at least once in the morning and once at night to avoid dry skin. Look for “ointment” moisturizers that are oil-based rather than water-based and products that contain lipids (called “sphingolipids” or “ceramides”) and humectants (glycerin or hyaluronic salts) that will trap and retain moisture in the skin. Dr. Wise offers a range of aesthetic skin care services and products to help you achieve healthy, youthful skin. From anti-aging treatments and rejuvenating facials to exfoliating treatments and medical grade skin care lines, Wise Center for Plastic Surgery is the answer to any and all of your skin care needs this winter. If you are interested in rejuvenating your skin, please call (888) 295-6933 or fill out our online contact form. 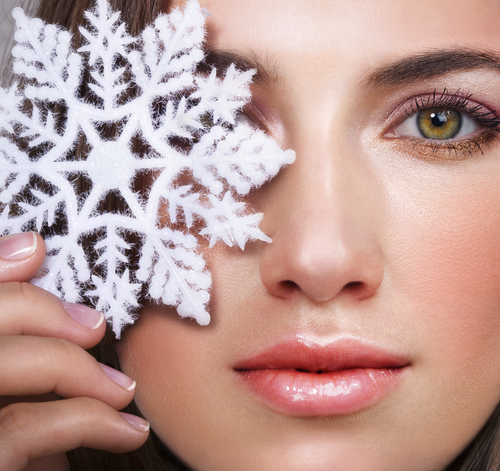 We look forward to helping you achieve beautiful, healthy skin this winter and all year long.